We recently posted an IN DEEPTH ARTICLE on this topic at Tony Gentilcore’s Website. To read it click here. 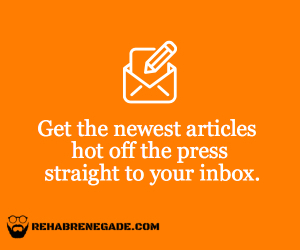 This is a topic that we are very passionate about at Rehab Renegade. Arthritis is often blamed for pain that we can’t explain. It is also used as a “get out of jail free card” to allow your physician to move on to his next patient. It is important to understand that having arthritis does not necessarily mean you are going to have pain. We can help reduce pain by addressing the low hanging fruit. One percent changes consistently in these areas can result in a significant change in how you feel.